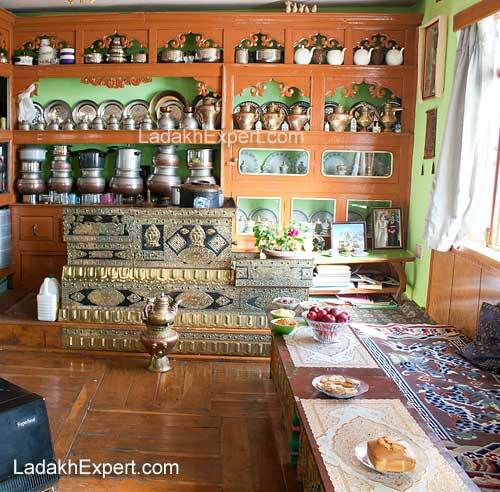 Shanti Guest House is one of the oldest Guest Houses in Leh and is located in the Changspa Village, at the foothills of Shanti Stupa. 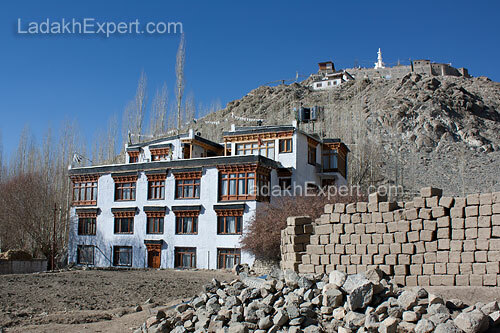 I had the pleasure of staying at Shanti Guest House in December 2012, during my Winter Trip to Ladakh. At that time, heating in the room was provided with the help of gas powered heaters, however now central heating is available now, along with WiFi. Room itself was pretty decent and clean with attached western styled toilet (which was working even in winter) and hot water was available in bucket. During the day, our room used to receive plenty of sun light and felt comparatively warm. Food was available in the in-house restaurant and due to lack of rush at that time (me along with my travel partner and couple of friends were the only guests at that time), lunch and dinner had to be ordered in advance. And while almost everything was available, taste wasn’t all that great, mostly due to the non-spicy nature of the food (I love North Indian food), which might go down well for the foreigners. While no indoor parking is available, cars and motorcycles can be parked along the single lane road, in front of the Guest House. With respect to location of the guest house, while some may detest the fact that Shanti Guest House located a bit far away from the Leh Main Market, this is a blessing in disguise, as it offers peace and tranquility, which at times is missing, even in Leh! Shanti Guest House is run by the Tsering Family and they are quite friendly and endearing and that I suppose is one of the reasons why I liked staying there so much. 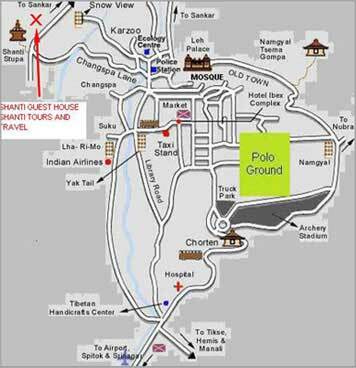 Overall, Shanti Guest House is nice mid-range guest house and once of the better places to stay in Leh.